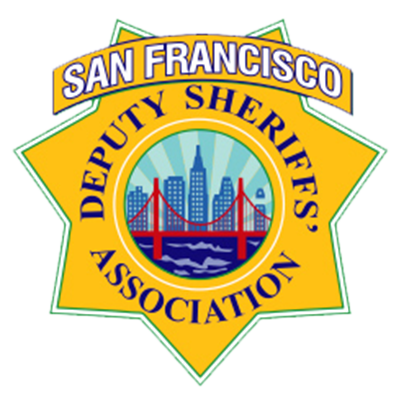 Since 1952, the San Francisco Deputy Sheriffs’ Association (SFDSA) has been dedicated to representing the men and women of the San Francisco Sheriff’s Department, who protect and serve the City and County of San Francisco. The SFDSA’s goal is to fully represent the approximately 750 deputy sheriffs and senior deputy sheriffs who comprise the majority of the San Francisco Sheriff’s Department. In order to achieve this goal, the SFDSA strives to promote a high level of commitment to public safety and professionalism within the ranks of the San Francisco Sheriff’s Department though an emphasis on education, legal support, community outreach and trust building. So that the citizens of San Francisco may enjoy an exceptional level of law enforcement protection by attracting and retaining the best and brightest deputy sheriffs, balanced with the responsible use of tax dollars, the SFDSA strives to ensure that deputy sheriffs’ wages are competitive with those in cities combating similar levels of crime and danger. The City and County of San Francisco faces many challenges. With the challenges of fighting urban crime as well as gang activity and violence comes the need to maintain a highly professional sheriff’s department. The San Francisco Deputy Sheriffs’ Association is committed to partnering with our community and city leaders to make San Francisco a safer place and to maintain it as a great city in which to live, work and raise a family.